Coffee and tea stained teeth ruining your photos? You will always have a luminescent smile with the help of Fotor's Teeth Whitening Feature! Use the Teeth Whitener to clear away any stains for a perfect photo. 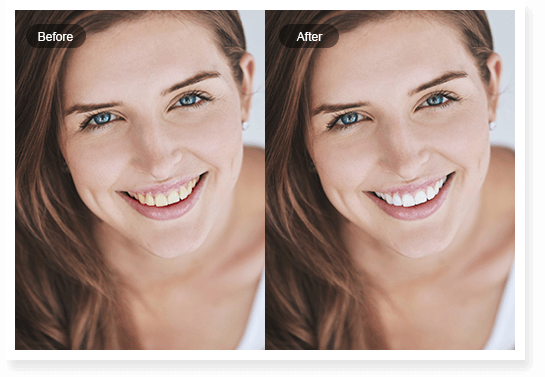 With Fotor's teeth whitener you can easily get rid of any stains on your teeth in photos in just a few clicks! 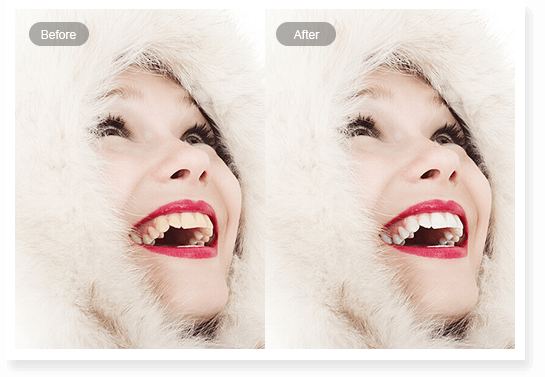 Try Fotor's powerful teeth whitening feature to fix your portraits now!